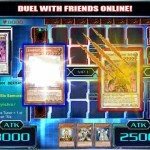 After soft-launching in Canada one week ago, Konami’s card-battling Yu-Gi-Oh! 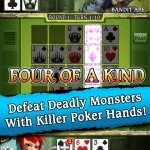 Duel Generation has made an appearance in App Stores around the world. Optimized for the iPhone, iPad, and iPod touch Yu-Gi-Oh! Duel Generation is available free of charge. As we explained last week, the free-to-play iteration in the popular “Yu-Gi-Oh!” franchise brings some 6,000 cards to our iOS devices (with more promised in future updates). You can enjoy Yu-Gi-Oh! Duel Generation both offline and online. There are weekly challenges, too, and the option of spending some cash in-app in order to enhance your deck is also available (parents, as always, should therefore keep a close eye on the game and limit IAPs from inside the Settings application). You can pick up Yu-Gi-Oh! 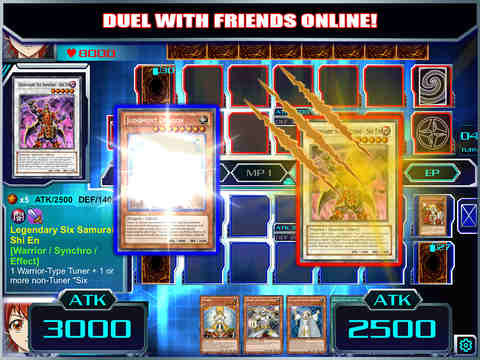 Duel Generation from the App Store now. As mentioned, it’s available free of charge and is optimized for the iPhone, iPad, and iPod touch. You’ll need iOS 6.0 or higher to take the game for a spin. See also: Cydia gets an update and is now bundled with Pangu for iOS 8, Ellen DeGeneres launches Ellentube app for watching and sharing family-friendly videos, and Surgeon Simulator now lets you commit medical malpractice on your iPhone.